New. 2010. New and Updated Edition. Paperback. 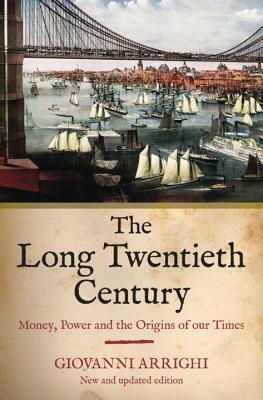 Traces the epochal shifts in the relationship between capital accumulation and state formation over a 700-year period. This book concludes with an examination of the forces which have shaped and are poised to undermine America's world power. Num Pages: 400 pages, figures. BIC Classification: 1KBB; 3JJ; KCA; KCZ. Category: (P) Professional & Vocational; (UP) Postgraduate, Research & Scholarly; (UU) Undergraduate. Dimension: 235 x 156 x 31. Weight in Grams: 668......We ship daily from our Bookshop. New. 1844673049 Brand New Book, Express delivery ( 5-8 days ), customer satisfaction Guranted. New. Trade paperback (US). Glued binding. 416 p. Contains: Figures. Fine. 100% Money Back Guarantee. Brand New, Perfect Condition. We offer expedited shipping to all US locations. Over 3, 000, 000 happy customers. Trade paperback (US). Glued binding. 416 p. Contains: Figures. New. 100% Money Back Guarantee. Brand New, Perfect Condition. We offer expedited shipping to all US locations. Over 3, 000, 000 happy customers. Trade paperback (US). Glued binding. 416 p. Contains: Figures.